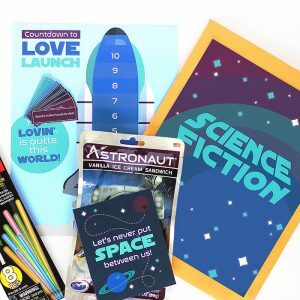 Birthdays are so much fun – and because they only come around ONCE a year, you have to make them SUPER special! I love spoiling the ones I love and I have to admit, it’s lots of fun to be spoiled – the one day a year I am 100% allowed to be :)! 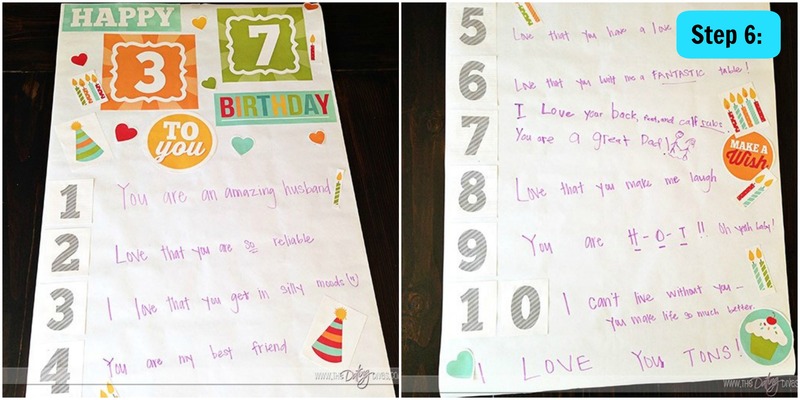 A great way of spoiling a loved one is making him/her an awesome birthday banner! 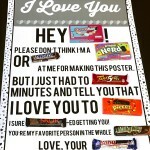 In reality a birthday banner can be made for any loved one, but the most important person to make it for is your spouse! 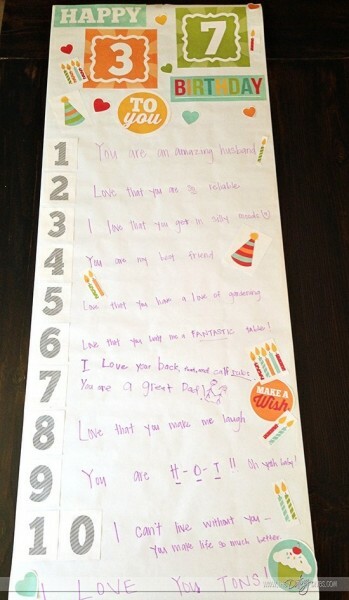 One super fun way to let your husband know you love him and are thinking of him on his special day is to make a birthday banner for him, list 10 reasons why he is awesome, and hang it on his bedroom door to wake up to on his birthday. Awesome, right?! 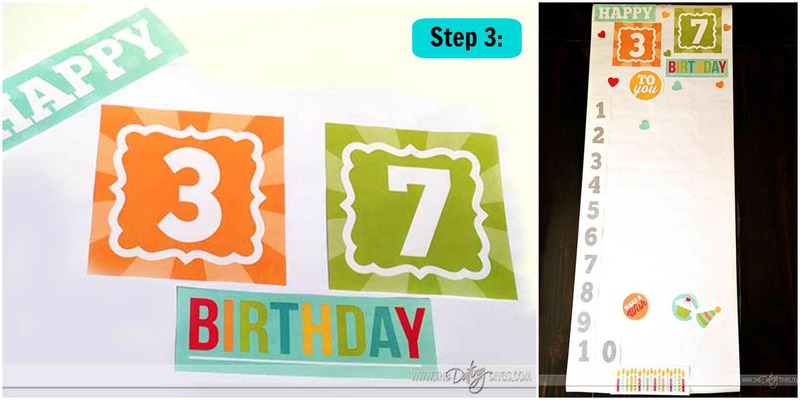 To make a birthday banner, all you need is some banner paper (or back of wrapping paper), markers, scissors, and glue and/or tape! Easy peasy! BUT that is if you want to make a normal birthday banner. 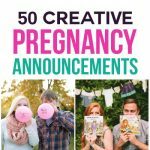 Doing it this way will give you a great DIY birthday gift, but I wanted to make it extra special for my hubby. 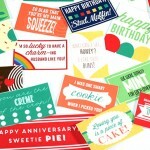 So, I had Courtney, from All Things Bright & Beautiful, make some awesome printables for you to use on your birthday banner. She is so talented and easy to work with. 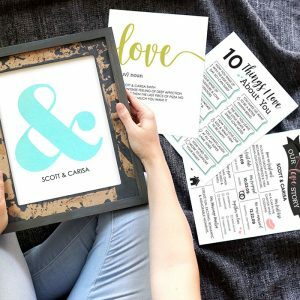 She did a fantastic job on these BEAUTIFUL printables. Thanks so much, Courtney! 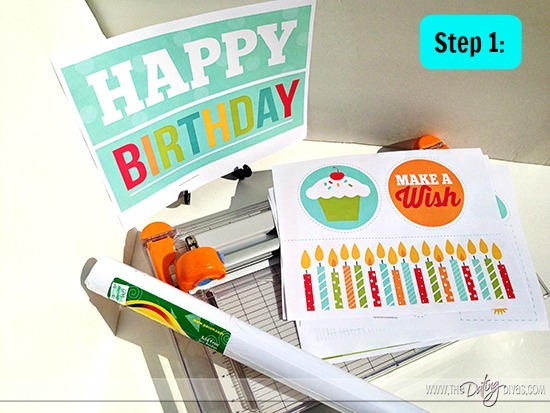 These printables really make this banner extra special and help finish off your DIY birthday gift! 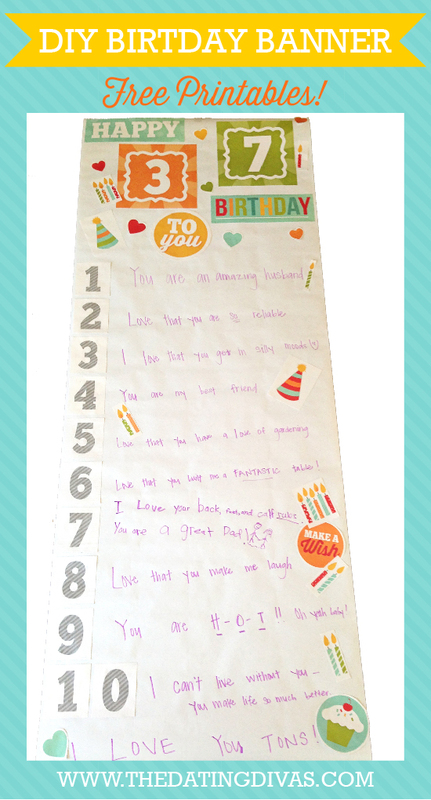 The printables include numbers for both the age of the person you are making the birthday banner for and the reasons why you love them, happy birthday wishes, and cute pictures to go all over your DIY birthday gift. All of them together make an amazing birthday banner! 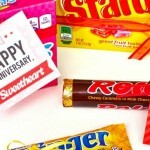 Follow these 6 easy steps to make your own amazing DIY birthday gift for your hubby. 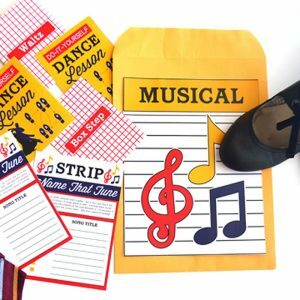 Step 1: Gather up all your materials: printables (large numbers, small numbers, happy birthday wording, extras) , scissors or paper cutter , banner paper , markers , and tape or glue . Then, take your paper and measure how long you need it to be to cover the door you will tape it to. 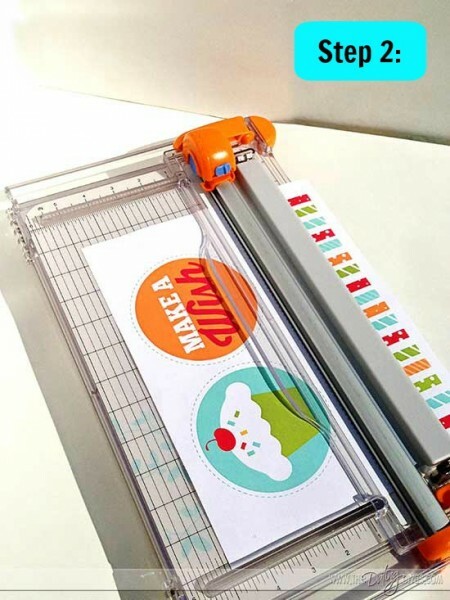 Step 2: Print off the printables and cut them out. Step 3: Arrange the printables on your paper in the order you want them. 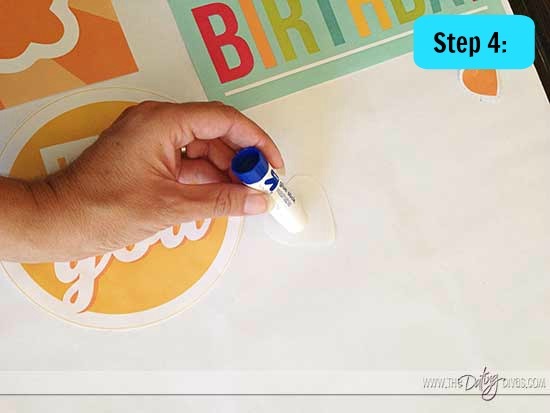 Step 4: Tape or glue all the printables where you placed them. 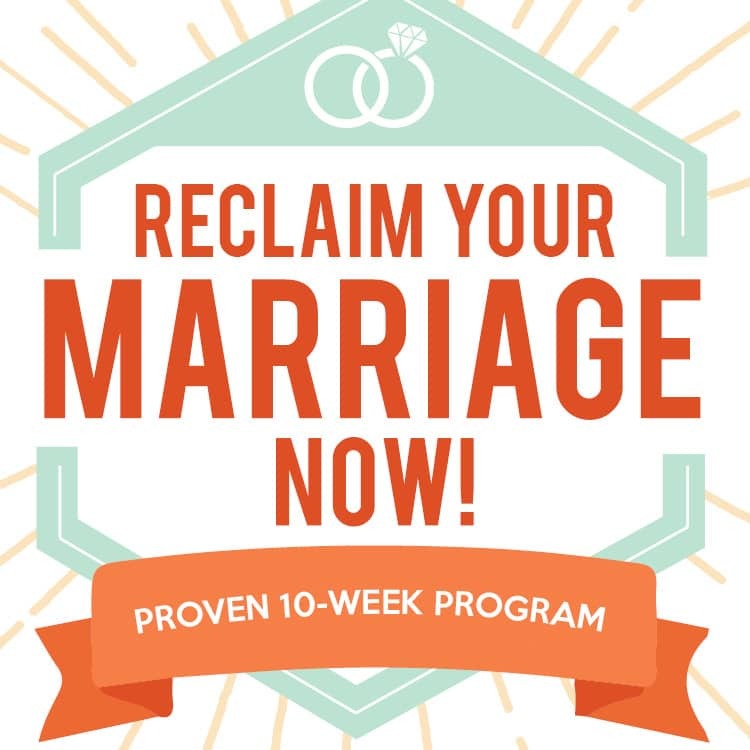 Step 5: Write out all the reasons you love your spouse. Step 6: Tape it to the bedroom door after he goes to sleep. Aren’t those 6 steps so easy to follow? 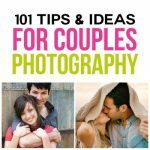 In the end, you have a beautiful DIY birthday gift to really make your spouse’s birthday extra special! Do you want some more great gift ideas like this? 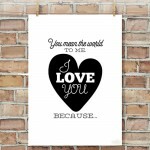 Try Sarina’s DIY Photo Pillow or Candice’s I Love You Printable Book. 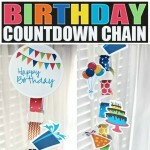 Both would pair perfectly with this DIY birthday banner. I am a fun-loving, down to earth girl. 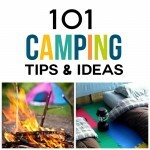 I love anything from the outdoors to a night in, because I try to make everything that I do FUN! Tara – doesn’t everyone like to be spoiled and told why they are cool?! This banner does just that! Jamie needs this on his next birthday! Ha!